Top Cat's voice was originally that of Arnold Stang. For Yogi's Ark, he was played by Daws Butler. 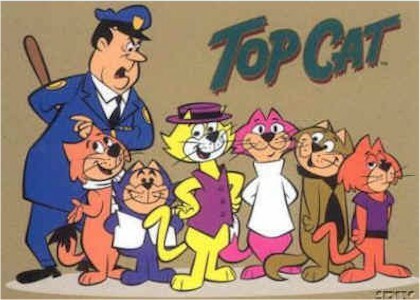 I remember watching:"Top Cat"Wednesday nights on The ABC TV Network..51 years ago. The indisputable leader of the gang ... He's the most tip top, Top Cat!